Every time you make the decision to update an older iPad and purchase a new one of your first considerations is how we you can seamlessly transfer your current data to a new device without fail. When approaching this process you have two choices in how to proceed. You can either use iCloud or iTunes to transfer your selected content between the two devices. 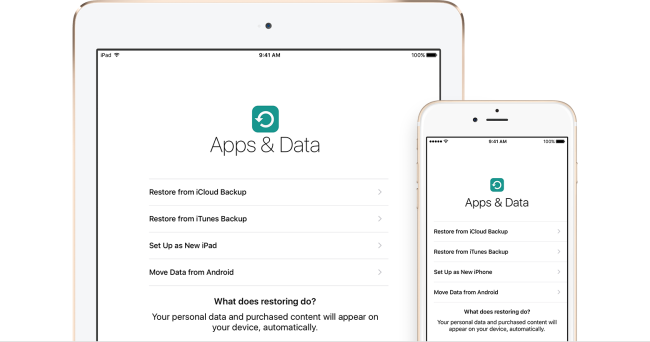 If you choose to utilize an iCloud backup to transfer your content to a new iPad the first thing you need to do is to make sure you have a recent iCloud backup. Open the Settings App–> iCloud–>Backup. Here you can see if/when the most recent iCloud backup was created. Additionally, at this time you can also choose to initiate a new backup on the fly. When you first turn on your new iPad you will eventually be prompted to connect to a Wi-Fi network. Once connected you will have the option to restore your new iPad from an iCloud backup. Enter your Apple ID and password, and choose from the available backups. If there is more than one option, choose the most recent backup to transfer your most recent saved data. Make sure you stay connected to your Wi-Fi connection until the transfer is complete. Your content will now download in the background. Depending on the size of the backup, and the speed of your internet connection your download times can vary. To make an iTunes backup of your iPad before transferring the content to a new iPad, first connect your iPad to your computer. Next, make sure you have the most recent version of iTunes downloaded to your computer. Launch iTunes, and select your device from the menu. Save the content your have downloaded from the iTunes & App Stores by selecting File–> Devices–> Transfer purchases. Depending on your internet connection and/or the amount of content you have to transfer your mileage may vary. You can also choose to encrypt your backup by creating an additional password. Please note: there is no way to recover an encrypted iTunes backup without the password you create, so be mindful of what you choose. You can confirm the your backup is complete in iTunes–> Preferences–> Devices, where you will see the name of your iPad along with the date and time the backup was created. Encrypted data will also show a lock symbol next to the name of your iPad. When you first turn on your new iPad you will eventually be prompted to connect to a Wi-Fi network. Next connect your iPad to the computer that you have stored your iTunes backup on, and connect to iTunes to restore your Apps and Data. 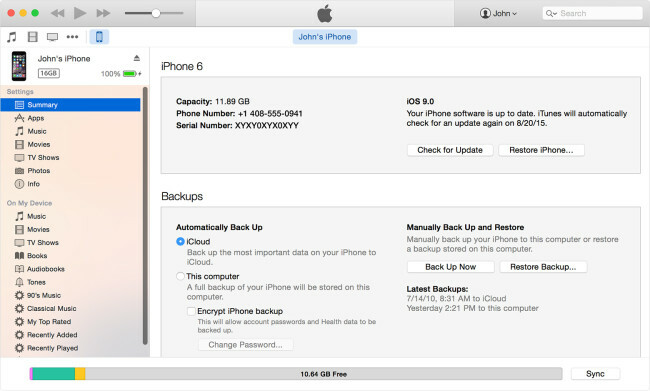 Enter your Apple ID and password, and choose from the available backups. If there is more than one option, choose the most recent backup to transfer your most recent saved data. If you are restoring from an encrypted backup you will now need to enter the password you create. Allow the restore to complete, and finish the remaining set-up steps to synch your remaining content.